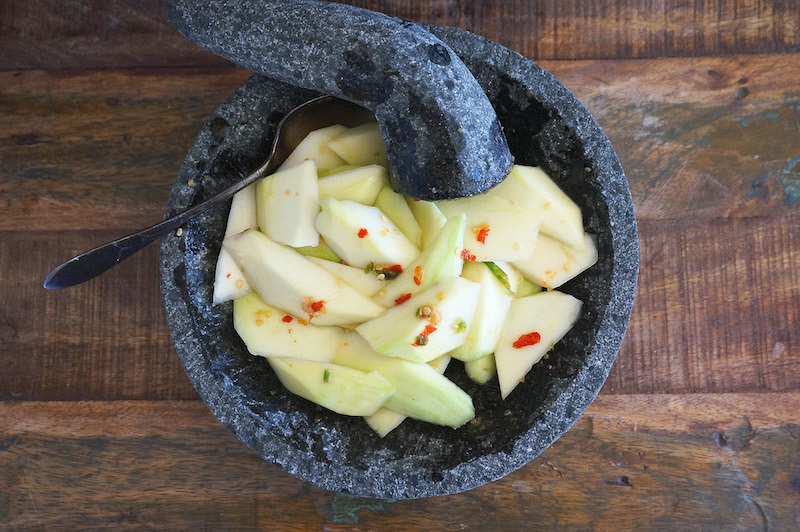 This Green Mango With Sweet And Spicy Sauce is one of my favorite childhood snacks. It is very easy to put together at and very addictive too. Place chilies, salt, and sugar in a pestle & mortar. Grind until you have a fine paste and mix with mango slices. Refrigerate for a couple of hours before serving.